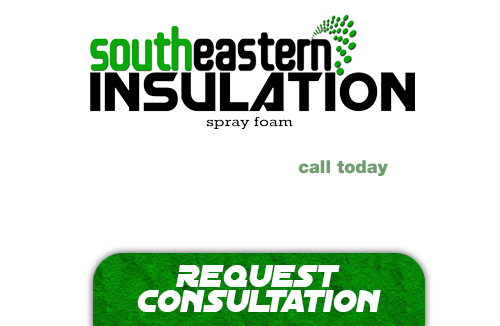 At Southeastern Insulation we seal and insulate your existing home saving you money and energy, while keeping you more comfortable. No matter how extreme the temperature gets outside, we will help make your home or office more enjoyable. At Southeastern Insulation, we cover carpets, hallways and rooms in which we are working with plastic. We take great pride in our work and respect our customers homes by working clean. We also use ventilation equipment to vent out fumes to prevent unwanted foam smells during the work being completed. Locally owned and operated by Adam Smith, who is passionate about making structures more efficient with Southeastern’s Spray Foam Insulation. We have insulated many different kinds of homes and structures. From commercial steel shop buildings to steel car port storage sheds. Every job is supervised by an experienced manager and every crew is well trained in all aspects off insulation installation.